A judge has ordered election officials in Kentucky not to certify the results of an upcoming referendum on whether to change the state's constitution to guarantee the rights of crime victims. 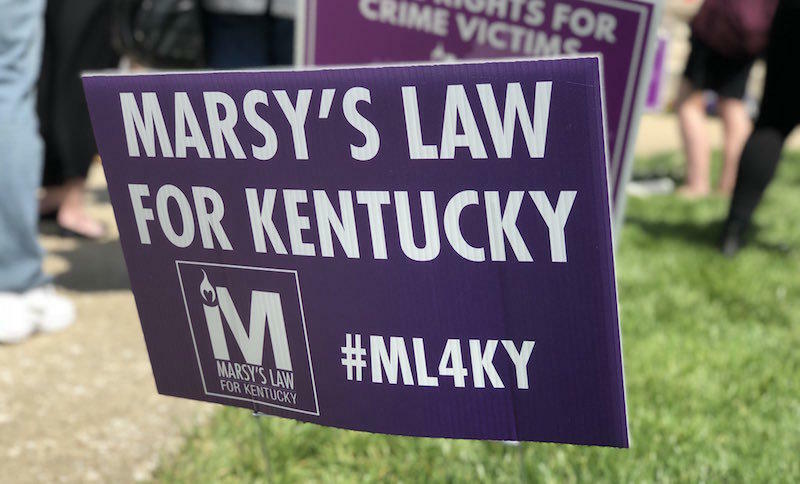 Kentucky is one of six states scheduled to vote on "Marsy's Law," a proposed constitutional amendment to guarantee crime victims similar rights as those accused of crimes in the judicial system. The effort is named after a California college student killed in the 1980s. Franklin Circuit Judge Thomas Wingate ruled on Monday that the ballot question isn't worded sufficiently to inform people of what they're voting on. The ruling means Kentucky voters will still cast ballots on the question, and election officials can count them. But the judge has ordered officials not to certify the results until after appellate courts have ruled. Voting "yes" would change the state's constitution, guaranteeing victims have rights like those accused of a crime. But the Kentucky Association of Criminal Defense Lawyers says the wording of the ballot question is misleading, and Tuesday they asked a state judge to block the referendum from happening. Catherine Milliner’s grandson Tony died when he was four years old. Her daughter’s boyfriend was charged with murdering the toddler. And as a three-year trial unfolded, Milliner wanted to keep tabs on every step of the case, including the whereabouts of the accused. “I got online and found out where Johnny was, the gentleman who murdered my grandson, just by accident,” Milliner said. Milliner said VINE, Kentucky’s court notification system, failed to notify her of key changes in the case, like the defendant’s transfers between prisons. The Kentucky General Assembly has passed Marsy’s Law — a constitutional amendment that would provide protections to victims of alleged crimes and require courts to notify victims when a defendant is released from custody, among other things. The proposed amendment doesn’t need to be signed by the governor, but will need majority approval by Kentucky voters during a referendum on Election Day this year to become law.